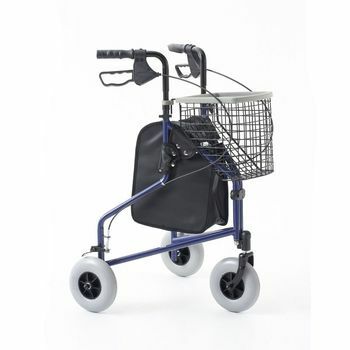 Tri-Wheel walker, fitted with locking handbrakes and height adjustable handles. Folding. Comes standard with puncture proof tyres, locking brakes, removable front basket, zipped storage bag and basket tray.